Home owners would like to own a home that has big posh living areas as well as rooms that are of decent size. Sol Acres provides a layout that is consistent to the measurement of good homes in Choa Chu Kang area where a range of amenities is available for the residents to use. The land size of the development is also huge such that it can allow 1,000 plus units in the development. Sol Acres EC by MCL Land – with FULL Condo facilities is finally launching! Located in a serene neighborhood, this development is standing on 2 huge parcels of land measuring approximately 354,2405qft. The developer, MCL Land, is a prominent and renowned real estate developer, reputed for quality furnishings and space efficient layouts. Enter a home where picture perfect awaits. Every day is filled with never-ending enchantment and discovery, as your home reveals its delightful secrets to you. This is your sanctuary amidst luscious trees and soothing water features, where serenity and tranquillity abounds located in the development. A wonderful and unique lifestyle awaits you. 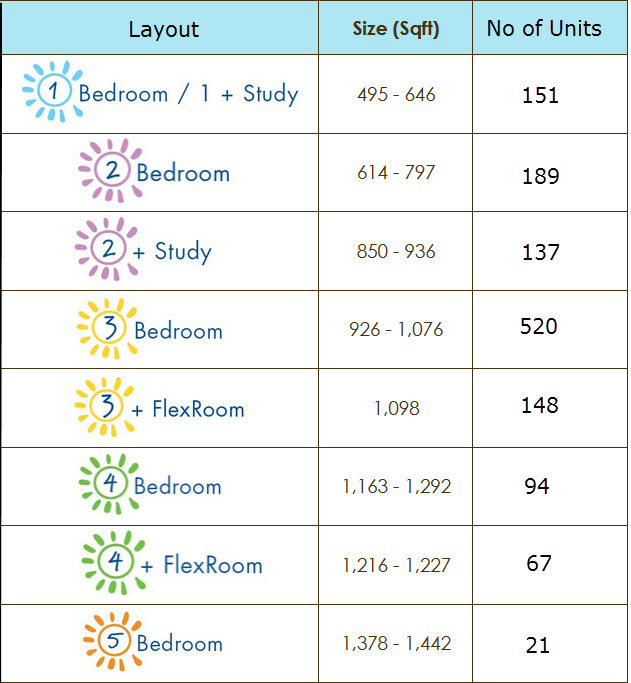 Please see Sol Acres project details and floor plans for more information. Please see Twin Vew project details for more information.